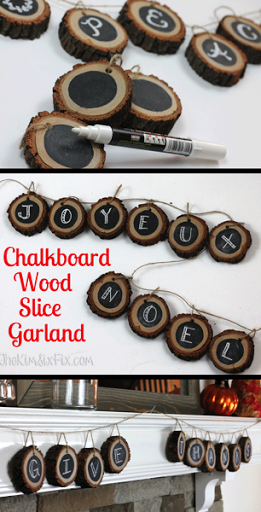 It is no secret that I have a deep long-standing love affair with wood slices. I have a plethora of projects (like pumpkins and reindeer) where I’ve used wood slices and the fact I am seeing them more and more these days makes my heart happy. It all started with this tree branch that blew down in our neighborhood. If you recall I have a tiny backyard and so access to large branches or logs is extremely limited so this was a total score for me! Next I drilled a hole at the top of each one. The wood was really hard so this took a lot longer than I thought it would. 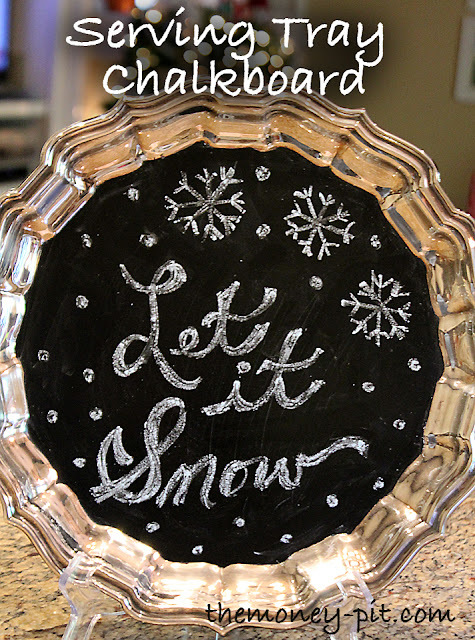 Then I used chalk (or a chalkboard marker) to personalize them. 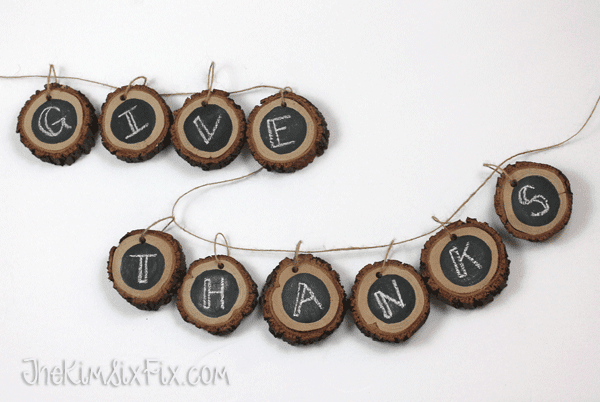 But for now I’ve got my new rustic wood slice banner decked out for Thanksgiving! And (of course) i love it!